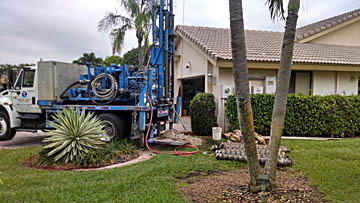 Our residential water well drilling expertise is based on over 45 years (combined) in the industry and driven by highly-trained professionals with the newest and most advanced equipment. 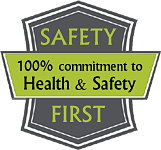 Our crew members are certified by OSHA and the National Ground Water Association (NGWA) to meet the industry's most exacting performance levels. ETD specializes in drilling water wells for most applications in the residential, commercial or industrial field. 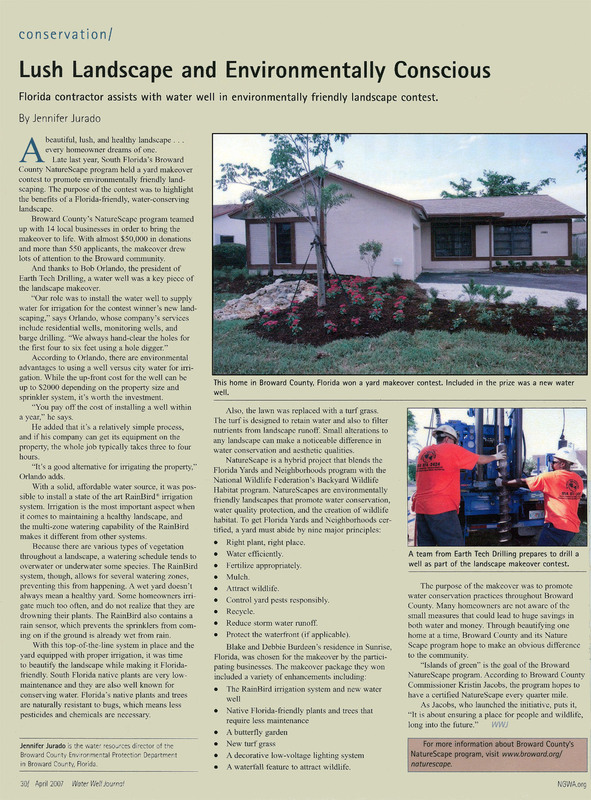 Our standards for Residential water wells are constructed in accordance with chapter 373.title 40 of the South Florida Water Management District (SFWMD). We install PVC wells which resist rust, corrosion, rotting, and sand infusion for a longer lasting, more productive well! Well materials consist of ALL Sch. 40 PVC casing and screen. All PVC screens are machine slotted and the annular space is filter packed with the proper size sieve silica sand to provide a silt-free sand-free well. Then grouted to land surface and completed 18" above grade. ETD can install or service most irrigation wells from Residential to Commercial applications. ETD will work with your system installer and size the well to provide the necessary volume needed to do the job right. We also install Variable Speed irrigation pumps. Let our technicians help size your system or troubleshoot your pressure problems today.
" I could not be any happier with the service that was provided by Earth Tech Drilling and I would gladly recommend them to anyone that needs a well. They were professional, clean and most of all quiet in all aspects of their work here." This Boca Raton resident realized a year and a half payback on his conversion from city water to well water. That’s a savings of $125.00 per month. Drilling question? Contact our drilling experts!